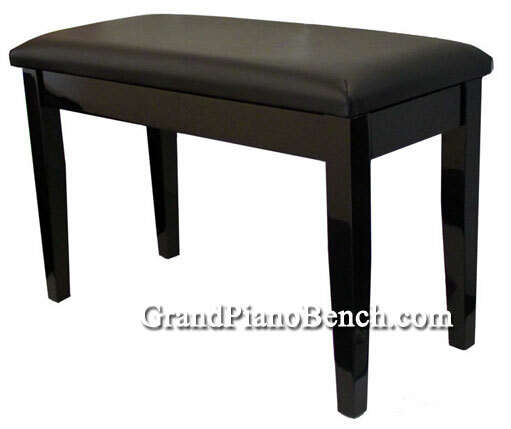 Our Black High Gloss Upholstered Piano Bench is made of solid hardwood, and comes with a comfortable, 2" thick black vinyl padded top. 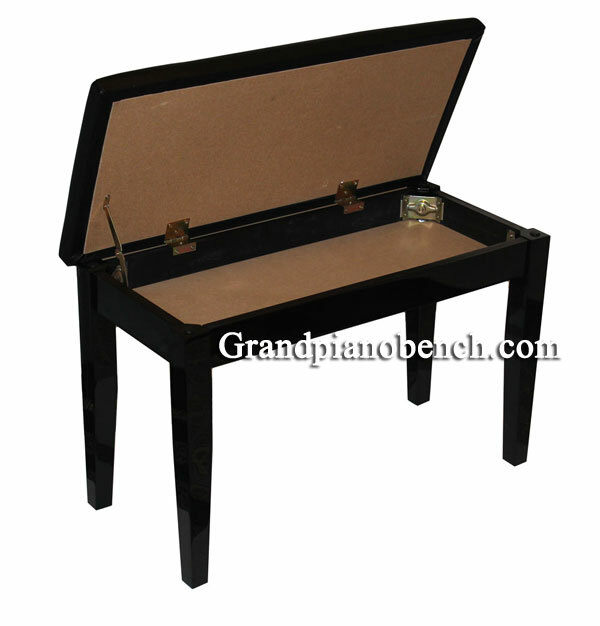 The bench features a full size, 2" deep music storage compartment, and comes with square tapered legs. The bottom of the legs have rubber bumpers, to protect your floors from damage. 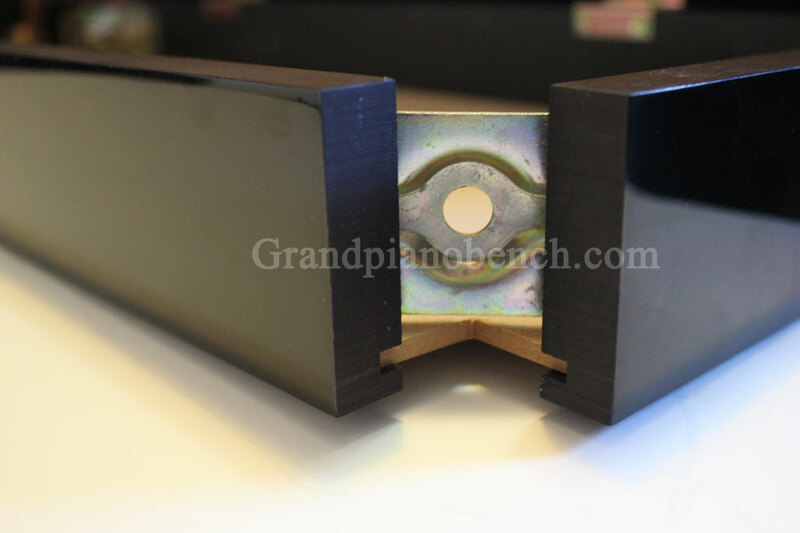 The bottom of this bench's music storage compartment is routed in for additional strength (inserted into grooves in the frame), as opposed to simply stapled in, as you will find on many of the cheaper imports. If you will be using your storage compartment, you will want to get a bench with the bottom wood routed into the bench frame. If it is only stapled, after time, the weight of the sheet music will cause the staples will start to come out of the bench, and the music compartment can fall out. 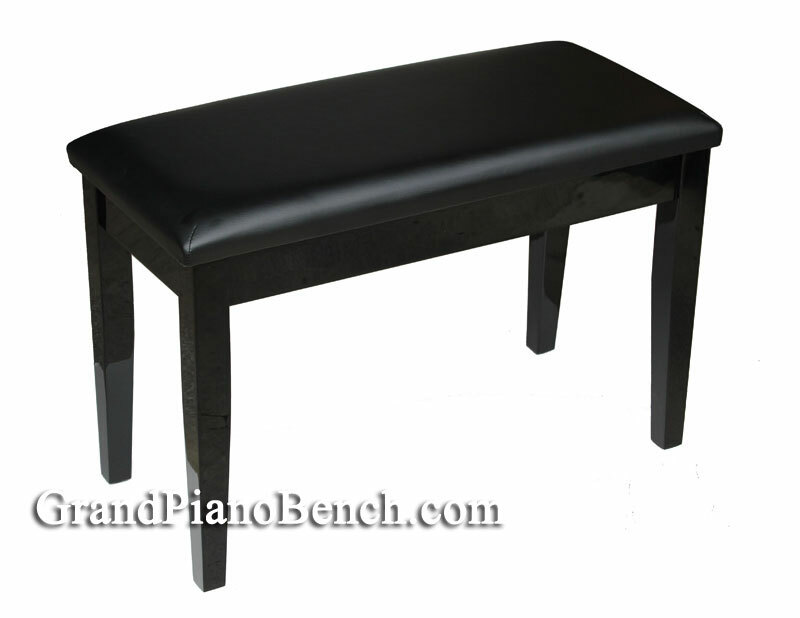 This piano bench comes with many of the most popular and sought after features: padded upholstered top, attractive high polish finish, and deep music storage compartment. One of the selling points of this bench is its quality. With solid brass hardware, and a routed in music compartment, this bench is well built. It also uses 2" thick, comfortable foam padding. Many cheaper benches use 1" to 1.5" of padding. A great value for the price, this has become one of our more popular piano benches.